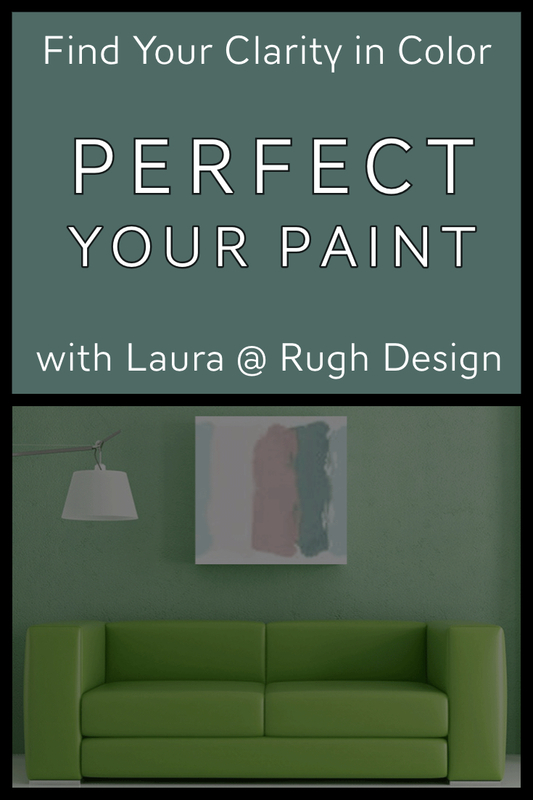 To recap, we have been working on adding ALL of the Sherwin-Williams paint colors to the Rugh Design Color Wheel. Our plan was to have all 1700 colors up by the end of 2018, but it is looking more and more that we will have all colors up by the end of the Summer! We only have about 150 colors to go! We will continue to release 25 new colors with my hand picked color schemes each week. 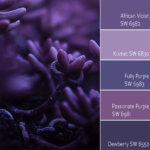 In addition to the new 25 colors a week I will highlight 1 color from Sherwin-Williams that I personally love or stands out. Recently, we have highlighted Lazy Gray (blue-gray), Extra White (true bright white), Passive (soft blue-gray with hint of green) and Gauntlet Gray (dark gray-blue). I’m super excited about this week’s color! If you have read my posts, you know that I love blues and greens (cooler colors). 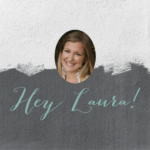 I also love the beach, so my love for these two colors makes perfect sense and is why I’m going ga-ga over the feature color for this week, Rainwashed. 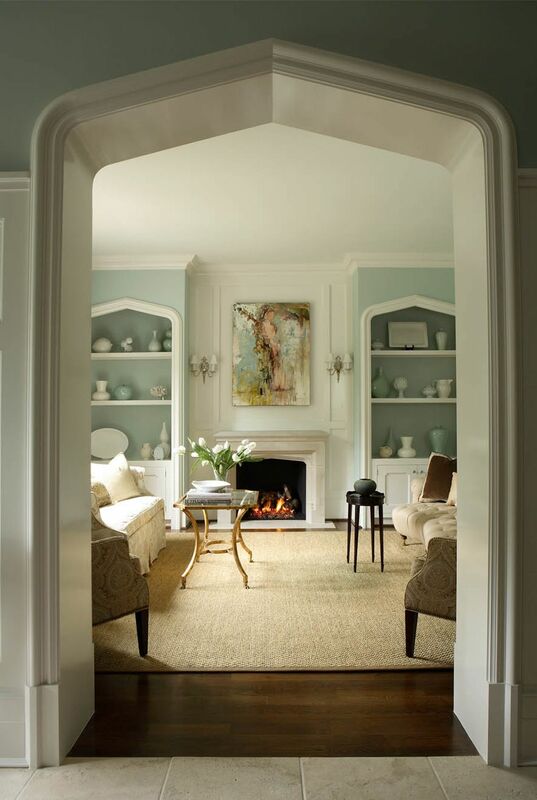 Rainwashed pretty much lives up to its name as a soothing and soft blue-green color. It is very similar to Sea Salt, but has less gray to it and is thus more vibrant. Keep reading for my fav places to use this spa-worthy color! Okay, now that you have a basis for Rainwashed, check out my Pinterest gallery for some inspiration. See below and let me know which one you like the most. If you have your own pictures, send them to me and I will post them! Also, check the Rainwashed color scheme page for my hand picked color schemes! Well, the obvious place to use Rainwashed for the spa-like quality it possess is the bathroom. And, man does it not disappoint! 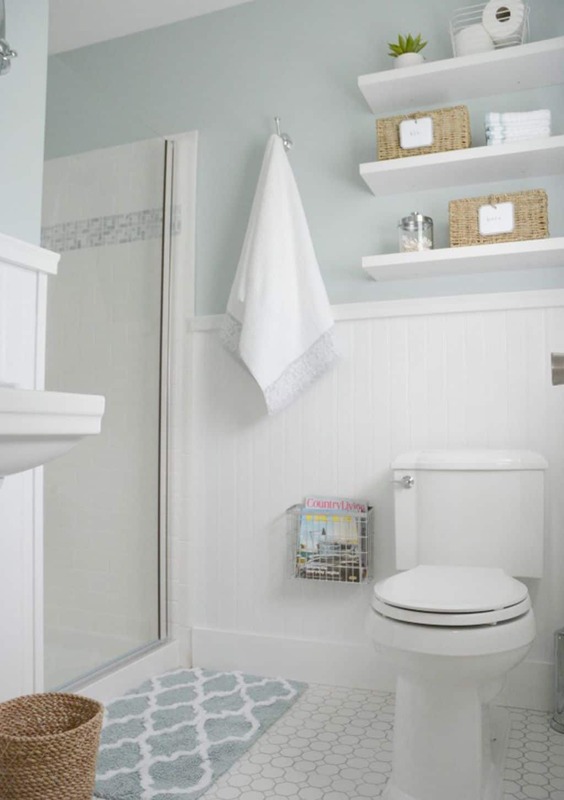 Rainwashed looks especially bright and clean with white tile and/or white trim. 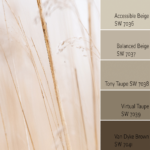 Throw in a white clawfoot tub and slip away to paradise in your Rainwashed colored bathroom! Bedrooms are a close second place for my favorite spaces to use Rainwashed. 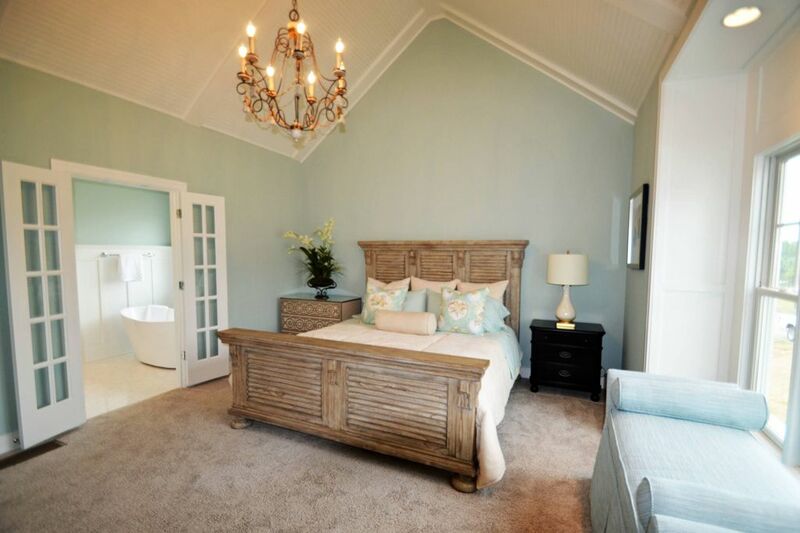 To me, master bedrooms should be an oasis where you can unwind and relax. My own master bedroom is a blue-green color and it really does help me decompress at the end of a long day! Rainwashed is soft enough to use on all walls and is gorgeous paired with white bedding and furniture. Typically, I prefer colors like Rainwashed in places like bathrooms and bedrooms, but in this case, I actually really like how this designer used Rainwashed as an accent wall behind white built-ins. It softens the look of the home and works with the other more feminine touches in the space to produce an elegant feel. Rainwashed as an accent wall in a Living Room by Rabaut Design Associates. Chis Little Photography. Okay, the last interior space using Rainwashed that I am crazy about is the laundry room. 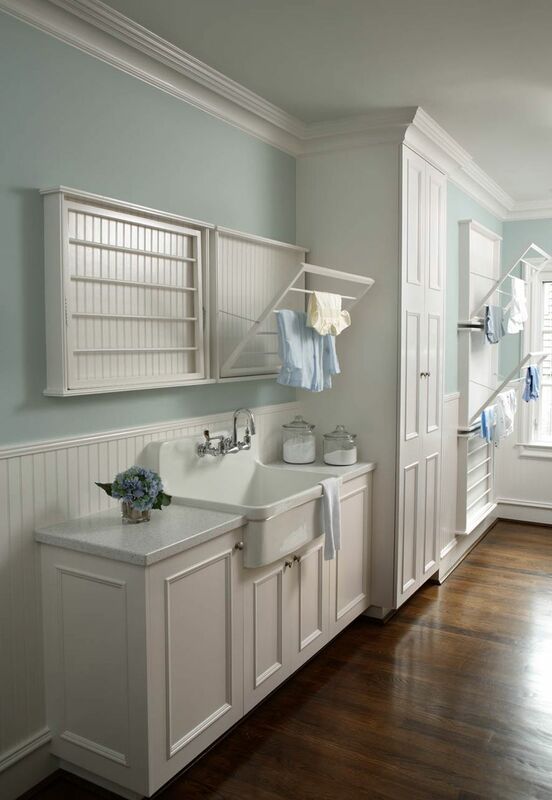 Similar to the bathroom, a soft blue-green color in here (along with all of the fresh bright white trim) creates a serene environment and who doesn’t want to feel serene whilst doing endless loads of laundry? Sign me up for Rainwashed in the laundry room!! Laundry Room in Rainwashed also by Raubaut Design Associates. Chis Little Photography. 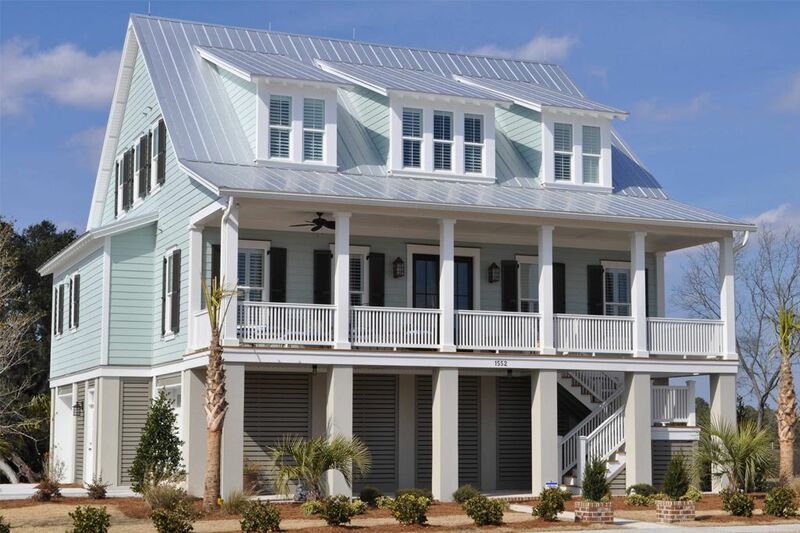 Not surprisingly, a beach house is the ideal exterior for Rainwashed to create the beachy-feel. 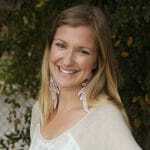 However, Rainwashed would also be really pretty on shutters or as a front door on a home in a non-beach environment! A common trend here, is pairing Rainwashed with a bright white. If you are looking for an ideal bright white, my favorite is Extra White. If you are considering Rainwashed, the best way to find out if it is right for your space, is to grab a sample and test it out. I like to paint a large white cardboard so that you can walk around with it and see how it looks in different areas at different times of the day. 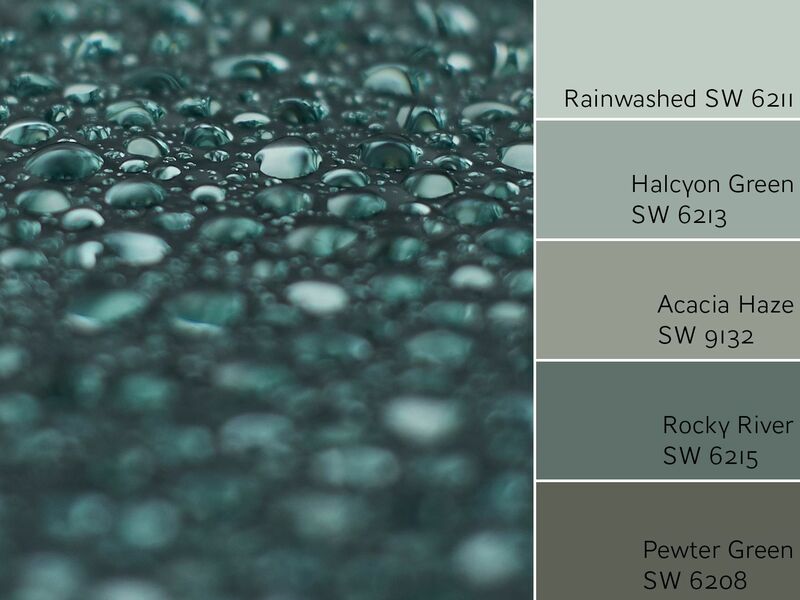 Rainwashed had the spotlight, but I also wanted to highlight a color from the Color Wheel update, Kilkenny. 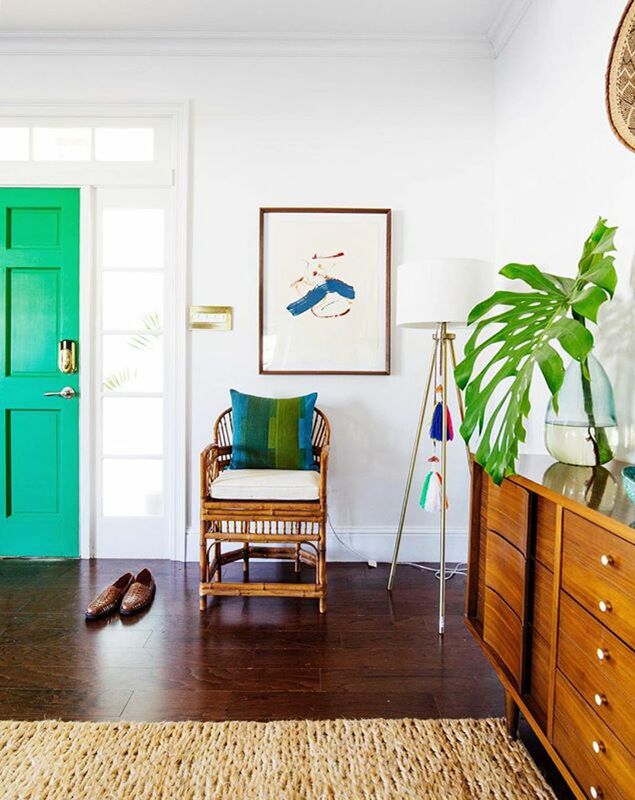 I love this electric green color, especially for an accent color for an interior front door. It works perfectly next to bright white walls and a few other bright accents to tie the look together! Hi! We are considering rainwashed or seasalt for our exterior. We were leaning seasalt, but after reading this, worried it might wash out with all the sunlight (south facing home in FL). Any thoughts?